We welcome all qualified and experienced international medical staff interested to work the UAE, Qatar, Saudi Arabia and New Zealand. Through regular recruitment campaigns in key source countries we have built up a strong database of candidates who are actively looking for work. Alternatively we can design, deliver and manage a bespoke campaign, incorporating dedicated overseas recruitment projects, to meet your specific recruitment needs. Our philosophy is simple. We listen to our doctors, we listen to our clients and we act upon their wishes. 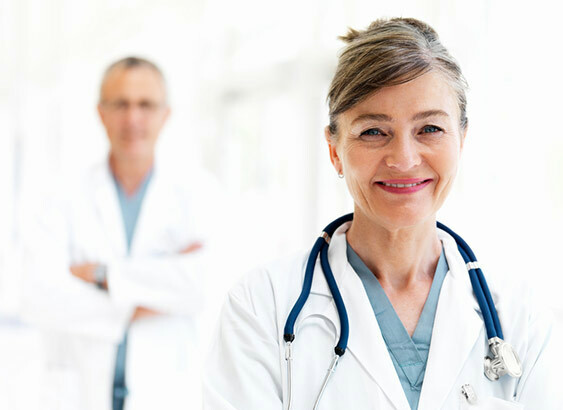 You will be working with the best in the business, and you can be certain that our highly trained medical recruitment consultants have experience in placing hundreds of doctors just like you. Please complete below registration form and we will contact you to discuss the options. Accepted file types: jpg, png, pdf, docx, xls, xlsx, doc. I agree to Regent Personnel using my personal data to provide me with job opportunities. Randa has been superb in facilitating my appointment to the position of Consultant Orthopaedic and Trauma Surgeon to Al Ain Hospital, Abu Dhabi, UAE, starting in position on 14 January 2018. For 16 years I had worked in the NHS as a Consultant and, naturally, such a big move for me and my family appeared daunting. Randa has smoothed the way from the beginning and has been reassuring all the time. Thank you Michelle. Thank you for yours and Simon’s support and guidance throughout this recruitment process. You have supported and guided me excellently throughout my recruitment process with Sidra Medicine in Qatar from pre-application stage, application, interviews, post interview follow ups, processing professional and personal documents to licensing and credentialing to issue of work visa. I felt that there was always someone to ask and verify, as it is often very difficult to get such support directly from the recruiting hospital or institute. I have no hesitation to recommend Regent Personnel for doctors looking for sabbatical or permanent overseas work placements in the Middle East. I would like to take this opportunity to thank you and your dedicated team for all your wonderful help and support with our job applications over the last year. I don’t think we could have sorted it all out ourselves especially with the many hurdles we have had to overcome along the way !! I will certainly recommend your company to any doctors wishing to apply for jobs abroad! Due to family reasons, I had looked to work in the Gulf region. I had some poor experiences during my search, so when I was contacted by Regent Personnel, I was not confident they could deliver. However I can now say that Regent could not be more professional, reliable and supportive throughout every step of the process – from initial visits, to documentation and relocation. When I decided to try to get a job in the UAE, I sent emails to several agencies handling medical jobs. From the start, Regent responded promptly. there were 2 job possibilities in Dubai, one in Qatar. I spoke to other agencies who were not aware of job vacancies in the UAE. Simon and his staff were extremely helpful, willing to answer any questions, about moving to UAE, and about the hospitals also. They were knowledgeable and professional.